Ecommerce is all about conversion rates. So is B2B ecommerce. You want your website to attract visitors, and to convert visitors into customers. Now, to attract visitors there are many tools such as SEO, Adwords, social media and many more. Tools that help you to get people to visit your website. But once they are on your website, you want to convert them into customers, people (or companies) that actually buy your products. That's where Cart2Quote comes in. We help you to improve your conversion rates. First, when we talk about conversion rates, this is what we mean: the percentage of visitors on your website that actually buy something. So, if out of 100 visitors 2 people become your customer, your website's conversion rate would be 2%. Now, it's hard to say whether your website is performing well, compared with 'the industry' or your competitors. For to make a fair comparison, you should be able to compare 'apples with apples', which for online B2B websites is a hard thing to do. Really the only one you can compare with is yourself, your own website. That is why it is really important to (continually) run tests on your website, always looking for ways to improve your conversion rates. What color button works best, what call-to-action text works best, what helps you to be more successful turning visitors into customers? 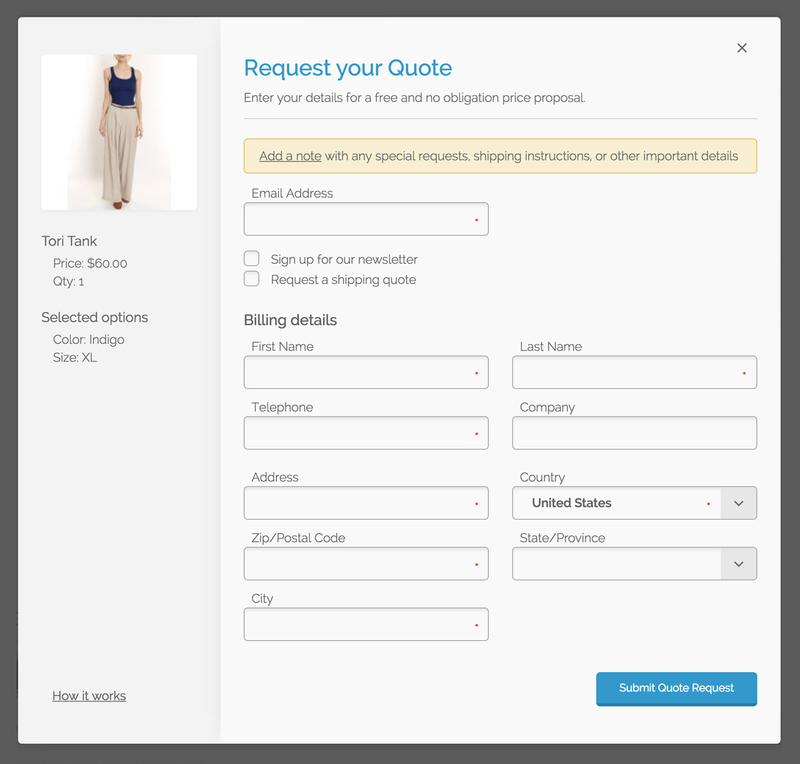 One of the proven ways to improve conversion rates for B2B e-commerce is to add a "quotation functionality" to your website. For most websites that means that, besides the famous 'add to cart' button, you add an 'add to quote' button. So, instead of leaving your visitor with only two options (to buy or not to buy) you now simply add a third option, with a much lower threshold; ask for a custom price. Your visitors can now enter into a conversation without having to buy directly. The Cart2Quote extension for Magento adds CRM functionality with this, so you can actually communicate with your future customer, all from your existing website backend. The Cart2Quote module is always being improved. Our team is always figuring out how to serve you better and how we can help you to improve your conversion rates. Something that we have been working on lately is the 'Quick Quote Form'. 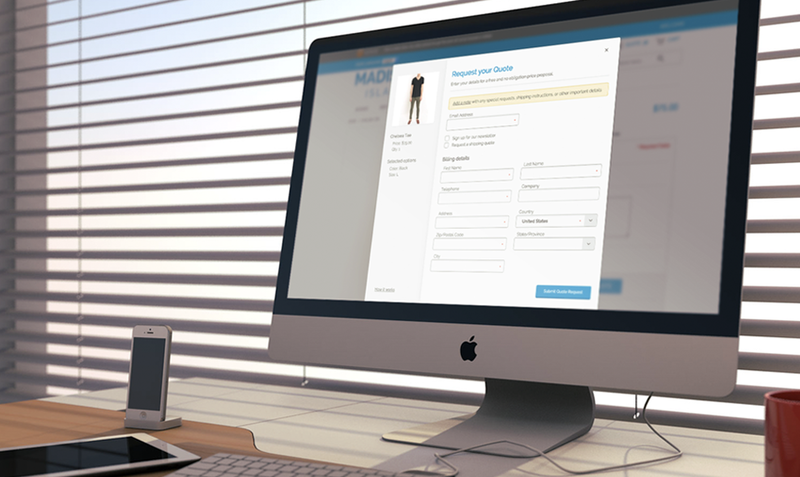 When your customer is on the product page and he chooses a product that he wants a quote for, he now sees a beautifully designed pop-up form with the product image, the title, any chosen options and quantities. We really made an effort to work on the design here because we do believe it's true that 'better design leads to better conversion'. We have made sure that this works for all Magento product types; simple, configurable, bundle, group, virtual and downloadable. This functionality works great for the Default and RWD related themes and can simply be enabled in the backend (Cart2Quote > Advanced > Enable Quick Quote) to your liking. Choose: Quick Quote, ajax or none. One of the things we find important at Cart2Quote is that you should always be in control of your own website. So, you decide what you show. You can either show the Quick Quote pop-up, including the form, or not. You can also choose to simply show your customer only an 'ajax pop-up' (see image below), showing just the product and specs, but not a form. Or, another option, after your customer clicked the 'add to quote' button, send him directly to the Quote page.  Again, you test, you choose, you decide when leads to higher conversion rates. 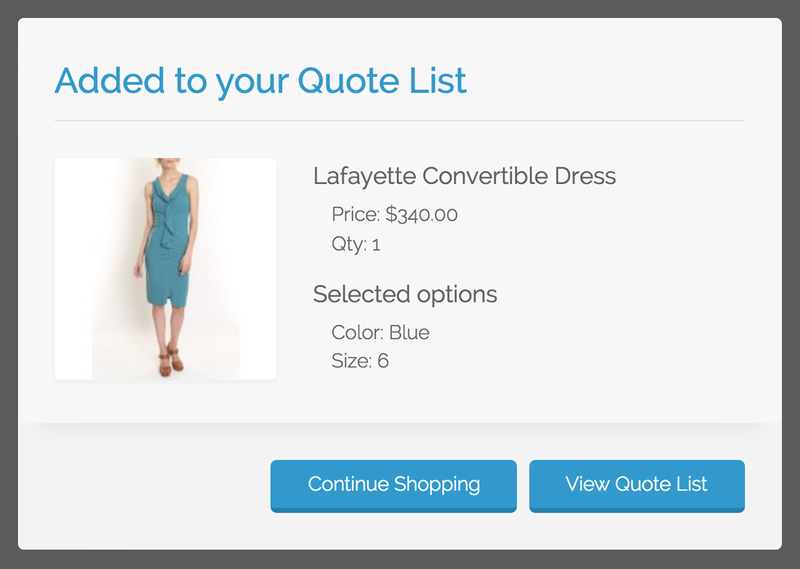 Try Cart2Quote for yourself and discover how it helps you to lower the threshold for your visitors and start converting quote request into orders, all from your existing Magento backend. To use the newly designed quote forms, please update your Cart2Quote software to version 5.3.0. or later and note that the Quick Quote functionality is available for the Business edition of Cart2Quote or higher. Click here to start your free trial or See the form in action.